Hobbits & Hairdye: New Month, New Me! September is a very important month to me, it symbolises the transition from summer to autumn, my most favourite of all seasons. Its a time for change, not only physically in the world around us but is a chance for an internal change, and that is something I most desperately need. I've found myself feeling quite detached and disengaged from the world the last couple of months, I've been in my own shell trying my best to cope with the turmoils of a 9-5 to job in hellish retail and basically feeling sorry for myself. Enough is enough. I feel like I've found this new appetite for life and even more relavantly for blogging, so I've set myself the ultimate of challenges. Are you ready for this? 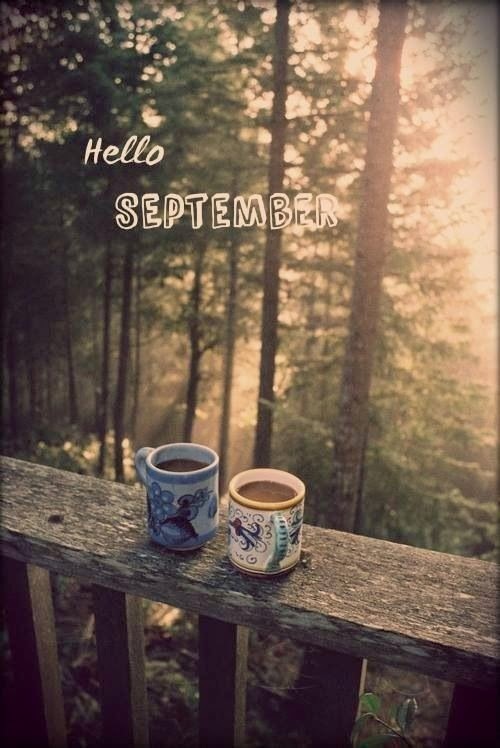 I'm going to be blogging every day for the month of September! Oh-Em-Gee I know! To all you nay-sayers out there, I am going to prove you all & most importantly myself wrong. Its going to be unbelievably tough as free time doesn't seem to exist in my vocabulary anymore but I am so determined to do this if it kills me…which it could well do! Whose ready to join me in my adventure? What challenge are you going to set yourself this september?